Christmas time is here, happiness and cheer, fun for all the children call, their favourite time of year. And what holiday isn't a bit better with Charlie Brown? 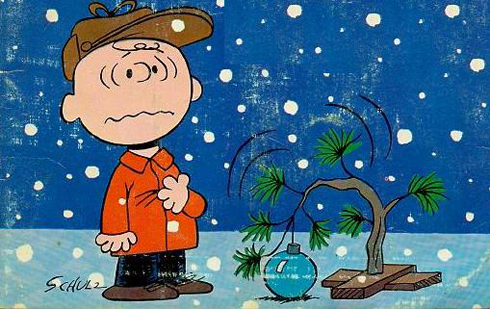 Whether you've managed to make the most out of your own Charlie Brown Christmas tree, have fallen for the glitz of commercialism like Snoopy, or have reminded your fellow man what Christmas is all about like Linus did, I think most of us can agree that there's something special about the 1965 television hit A Charlie Brown Christmas. 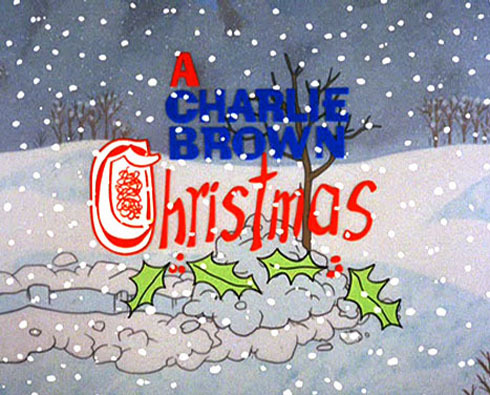 As one of the most memorable Christmas specials of my childhood (not to mention the special that started the series of Peanuts specials) A Charlie Brown Christmas is part of my holiday routine. I even have the soundtrack along with the original Charlie Brown Christmas on vinyl. "Isn't there anyone who knows what Christmas is all about?!" hollers Charlie Brown, the every-man of holiday depression and sorrow. I always felt sorry for Charlie as a kid. I knew he had it right, and I never understood why the other kids just couldn't cut him any slack. So he didn't get the aluminum tree like Lucy suggested. Even his dog was giving him a hard time. And therein lies the charm of this holiday favourite, because who hasn't felt disenchanted or out of sync with the holidays before? Charlie's search for answers is full of charm. Lucy, in psychiatry mode suggests, 'maybe you have pantophobia' which she explains is the fear of everything. 'That's it!' Charlie exclaims. 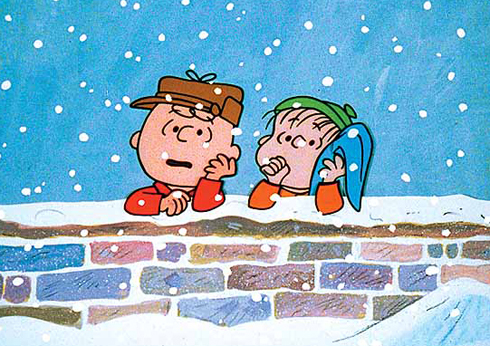 Linus, confused by Charlie's mood states, 'You're the only person I know who can take a wonderful season like Christmas and turn it into a problem. Maybe Lucy's right. Of all the Charlie Browns in the world, you're the Charlie Browniest'. Poor Charlie, once again typecast as a downer. I love the fact that Charlie Brown ends up with the part of the pageant director who can't get anyone to listen. He's in a prominent position pretty much so he can be walked all over. Although when your friends can dance like that in repetition, you've kind of already got it made. The kid doing the shoulder shrug back and forth is my favourite. 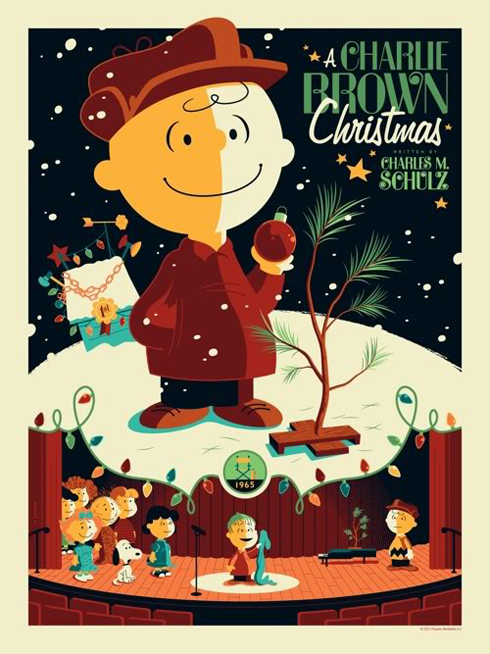 There's something truly enlightening about A Charlie Brown Christmas that you can't just find anywhere. I think nostalgia plays into it big time, because I saw it as a kid just like my parents did. Plus, if the cartoon strip isn't iconic enough, the ambient piano and raw recordings of the Vince Guaraldi Trio lends itself perfectly to the whimsy and reflection that Christmas inevitably brings. Charlie Brown isn't saved by any sweeping miracles or a sleigh full of presents, but his frustration subsides when a series of minor mistakes brings his friends around to see the simpler side of things. In an increasingly cynical world, the message still seems to resonate with heart. It's not what you have, but who you have to share it with. Sometimes the simplest messages ring the most true. From Linus, from me, to you, A Charlie Brown Christmas is the perfect reminder for 'what Christmas is all about'.